Part of the Justart chain. From One Utama, take NKVE towards Klang. Drive straight until you reach the Damansara Toll Plaza. Take the corner left towards Klang. Once you have merge towards the highway of NKVE again, take the middle lane and drive ahead. Keep driving until you have see the sign towards the crossroads to Setia Alam. Once you have reach, keep left towards the crossroads and by the end of the road, you will see Setia Alam Toll Plaza. Drive straight towards Tesco Setia Alam in Section 13. Take left towards Setia Alam Entrepeneurship Park (next to Tesco Setia Alam). Turn left after you have reach traffic light (in front of Starbucks). Drive straight. Turn left into U13/Q. Take another right turn into U13/P. 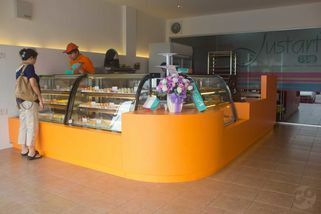 The bakery is located next to UNiFi store. 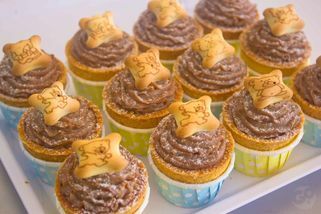 Even little treats can bring smiles to many faces. 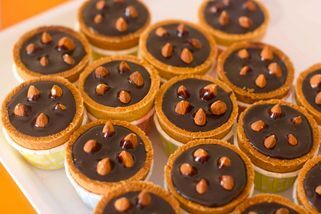 The phrase is best defined with the wide selection of fancy little tarts sell in Justart. 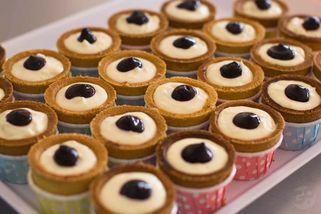 Located right in the middle of the shoplots around Setia Alam Entrepreneurship Park, this Taiwanese-inspired bakery offers nicely decorated tarts with a wide assortment that ranges from cold tarts to hot ones. 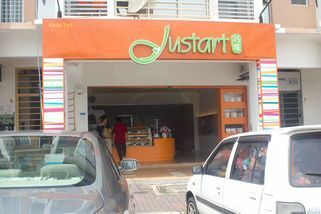 If you are a fan of Bluberry Cheese tarts, Chocolate Almond Tarts and the famous Portuguese Tarts, you will find Justart is definitely worth a visit. 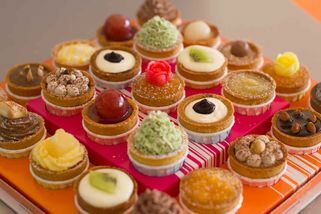 The fresh and colourful tarts are made on a daily basis and are served on cute little packages for take-home servings. Apart from Setia Alam, you may also find these little treats at Puchong and Kota Damansara. I went there with my family and we ordered a bunch of tarts for our family occasion. Since it was our first experience, we needed some recommendations and the owner was helpful enough to help. She gave really sweet smile, introduced some of their signature tarts and helped us packed in this really cute box. 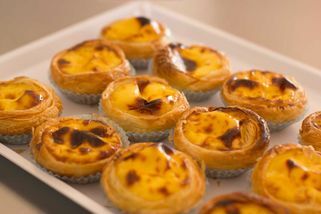 The tarts are delicious and have soft texture. Even my little nephew can't get enough of them.